If you live in Katy and want to file a lawsuit, your Katy Truck Accident Attorney will know in which of these courts your case should be filed. Harris County is under the jurisdiction of both the 1st and 14th Courts of Appeal and the selection is random for which Appellate Court will handle the truck accident lawyer's appellate issue. Senior District Judge Ewing Werlein, Jr. Please download a list of all Houston Division Federal Judges and Clerks. If you wished to appeal from one of the trial courts in the United States District Court for the Southern District of Texas - Houston Division, you would appeal to the Fifth Circuit United States Court of Appeals located in New Orleans, Louisiana. The chambers of the Supreme Court Justices are located mainly on the second floor of the Supreme Court building, with the exception of Justice Ginsburg's third floor chambers. Their individual chambers are not available to the public, and no direct phone line to a Justice exists for the public. The Justices may be contacted only via traditional mail. The nine Justices and the preferred way to address a letter are listed below. Serving clients throughout Southeastern Texas, including Aldine, Bellaire, Brookshire, Cinco Ranch, Four Corners, Fulshear, Houston, Jacinto City, Jersey Village, Mission Bend, Missouri City, Pattison, Pecan Grove, Richmond, Rosenberg, Satsuma, Simonton, Spring, Stafford, Sugar Land, Tomball, West University Place, The Woodlands and other communities in Harris County, Fort Bend County, and Waller County. Katy Wrongful Death Lawyers are experienced trial lawyers and can represent you in federal and state courts throughout the Greater Katy area. Contact a Katy Personal Injury Lawyer today for a FREE INITIAL CONSULTATION. 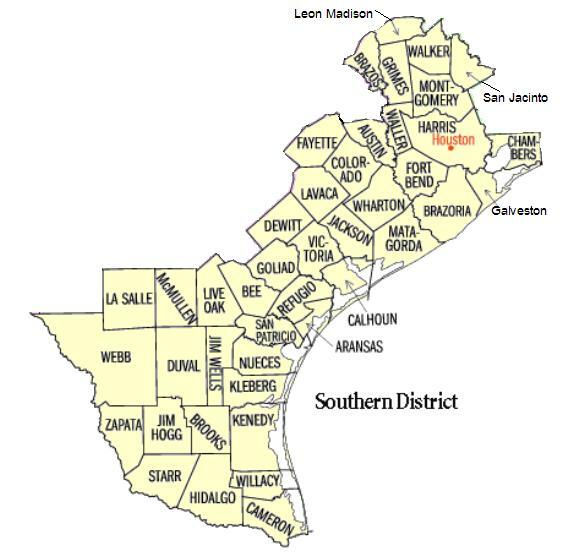 Serving clients throughout Southeast Texas, including Aldine, Bellaire, Bellville, Bernardo, Brookshire, Cat Spring, Cinco Ranch, Columbus, Four Corners, Fulshear, Houston, Jacinto City, Jersey Village, Meadows, Mission Bend, Missouri City, Orchard, Pattison, Pecan Grove, Richmond, Rosenberg, Satsuma, Sealy, Simonton, Spring, Stafford, Sugar Land, Tomball, Wallis, West University Place, The Woodlands, and other communities in Fort Bend County, Harris County, and Waller County.